In order to preview this weekend’s Duel in Denver field lacrosse game, featuring Team USA vs. Canada, LAS got the chance to check in with some of the biggest stars and leaders from Team USA. First up is International Lacrosse newbie, and Team USA goaltender, Jesse Schwartzman! There is a lot of competition to represent the USA in net. How does it feel to be selected to represent the USA at the Duel in Denver? Jesse Schwartzman: It feels great. It’s such an honor to be selected to play for your country. Photo Credit: Bill Danielewski, Courtesy USLacrosse. Will this experience play a big role in the development of the 2014 Men’s Team? Jesse Schwartzman: I think this will play a big role in the development of the team. It’s a chance for all the players to meet the new coaching staff, and for us players to showcase our abilities. Jesse Schwartzman: Whenever you put Canada and the USA on the field of competition, it’s always going to be a battle. I’m really looking forward to the passion and intensity of this game. Seeing as you play your pro lacrosse in Denver, few others can describe the lacrosse atmosphere in the area like you can. Why is Denver an ideal place for the 2014 World Games? Jesse Schwartzman: Denver is such a great sports town and city in general. Passionate fans, great weather, beautiful scenery… In terms of lacrosse, Denver has 3 teams to cheer for, and all three get great support. Describe your style of play? Does it change at all at different levels (pro vs international rules)? Jesse Schwartzman: My style of play is energetic, focused, and intense. I’ve never played in international competition, but I’m pretty sure my style won’t change. I just try to go out every time and play as well and as hard as I can. I know I won’t stop them all, but I play with an attitude that no one can score on me. Having played college lacrosse, in the MLL, and soon, International Lacrosse, would you like to see a two-point shot added to the College and the FIL games? What could the the 2-pointer do for lacrosse? Or is it the goalie’s worst nightmare? Jesse Schwartzman: The 2 pointer is a game changer. You saw what the Bayhawks were able to do this year. It’s an equalizer if you are down, and can also really spread a lead. As a goalie, it just makes you retain that focus because at any time someone can bring it from the 2 point arc. Should the rules be simplified into one existing code? Or does the diversity of rule sets help Grow The Game? Jesse Schwartzman: Rules are rules. Whatever they decide, we are going to have to abide by them. I think the change in rules from college to pro are important, just as rules change from college football to the NFL are important. In reality, I think their purpose is to better the game. Jesse Schwartzman: Out West has grown tremendously. Denver, San Diego, Seattle… Lacrosse is huge out there now, and I’m very impressed with the athletes these areas produce. They may be a little behind on their skill set, but their athleticism is beyond those East coasters. It’s impressed me to see countries like Israel and Japan playing lacrosse. Who would’ve ever though this would happen on an international level? 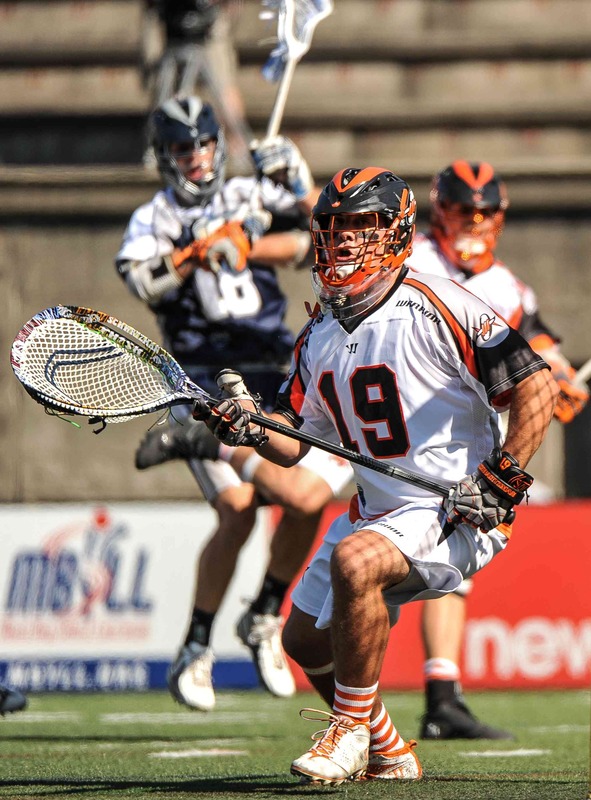 Jesse Schwartzman: Lacrosse needs more TV exposure and more press. It’s simple. Look at other sports and how accessible they are on TV and in newspapers and magazines. I try to go out and spread the word to local kids, and really, youngsters all over. I travel a lot and am always looking to grow the game. Any predictions for the Duel in Denver; either personal or team? Jesse Schwartzman: My prediction is that it will be a closely contested game all the way to the final whistle. Both teams have unique skill sets and it should be a great battle. Come out and show your support to see for yourself. Thanks. 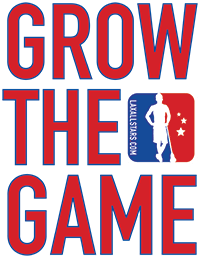 LAS will be there with the Grow The Game Tour… will YOU?